The ukulele was invented in Hawaii. It is one of the musical string instruments in the lute family. The ukulele has similar features just like the guitar; it is however differentiated by the number of strings (mostly four) and the musical sounds it produces. 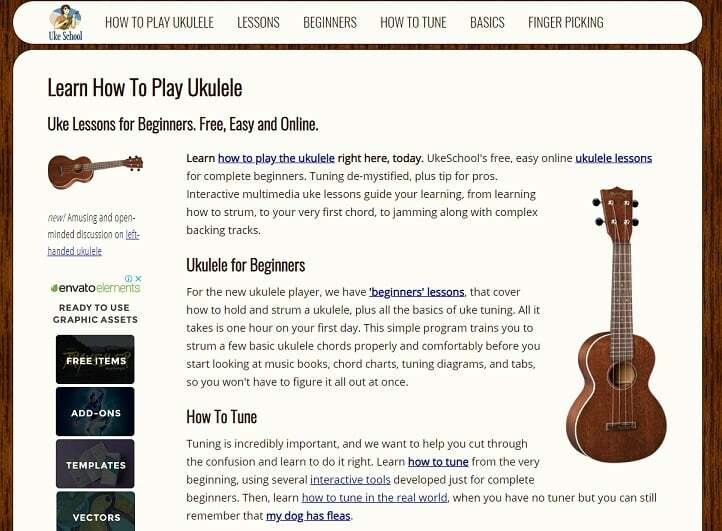 For beginners, the regular ukuleles can be used to start receiving lessons online. The online ukulele lessons are offered on personal websites or the popular academic sites where knowledge and skills are taught publicly. These websites make it easy for everyone to learn how the ukulele is played regardless of location. The online ukulele courses vary. 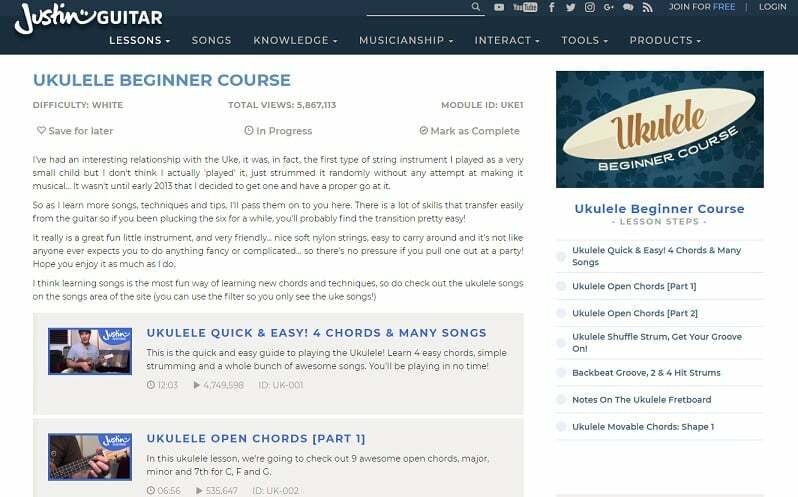 Some online instructors have created their online ukulele learning programs for people who already have some experience with the musical instrument. 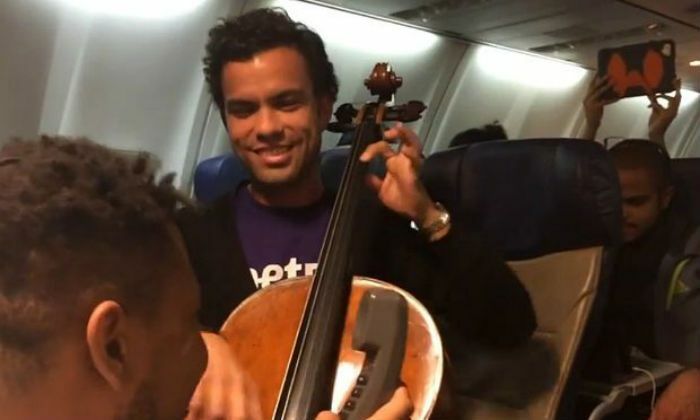 However, there are hundreds of teachers who are willing to help beginners who have never played the instrument before to become experts after following the instructions. It is also important to have a discussion with the instructor before commencing the online ukulele lessons. This way, you can know what to expect during the program. With this information, it will be easier to set goals that can be used to assess the value you get after the online course. 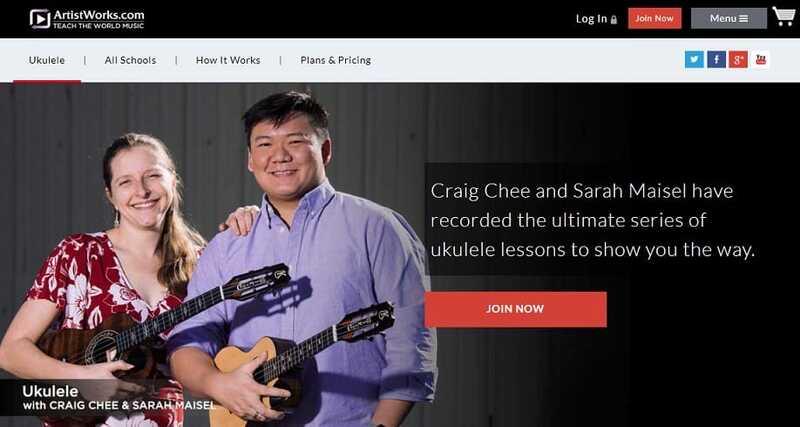 On the artistworks website, the ukulele lessons have been compiled by Craig Chee and Sarah Maisel. They have had extensive experience as teachers and have helped many people learn how to play the ukulele. On the website, the instructors have uploaded volumes of instructional videos to guide the students. In addition, they offer video exchange options where the students can upload their practice videos for a review. The instructors view the videos and make corrections to help the students improve their skills. The website also features blogs and audio files for students who wish to have access to more information. The learning method used on this website is fun and inspirational. Students can view the practice videos uploaded by others to learn new tricks and get hints. The duration of the online lessons may depend on what the student wishes to learn. Some courses run for three months, six months and as long as a year. Private lessons are also available where the students have access to VIP bonus content to help improve their skills. During the course, students’ advance from one training series to the next. They move from the beginner level to intermediate and finally the advanced level. On this website, there are over fifty pre-made online ukulele courses for all students. The layout of the website is impressive and easy to use. Each course has been divided into a series of lectures to help students achieve gradual progress while they learn. The courses have also been labeled so visitors to the site can determine the courses tailored for beginners and intermediate ukulele players. The advantage of this site is that every student can find particular lessons they may want to master. For example, people interested in learning strumming techniques that match all songs or teachers who focus on compositions can find what they need easily by reading the course profile. Averagely the courses last for about three hours, which have been divided into lectures that last for twenty-five minutes daily. The most suitable teachers on the site can be determined by viewing their ratings. The teachers with higher ratings tend to get more students than other with lower ratings. The rating system helps students evaluate the worth of the course before making a purchase. Overall, this site offers a wide variety of learning options that can help a broad audience. 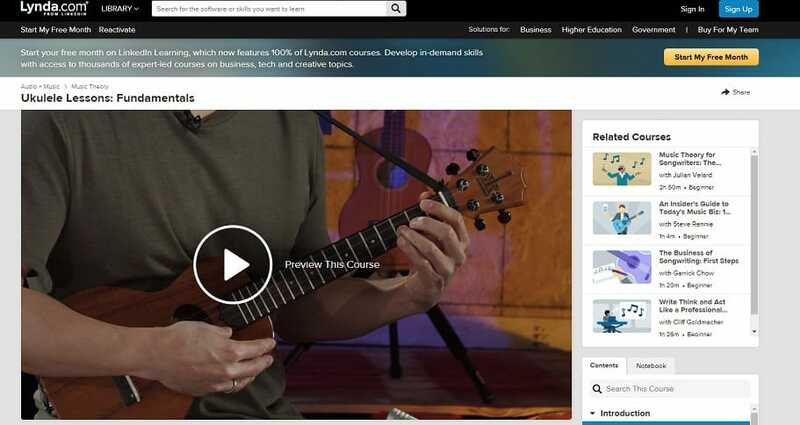 Fiverr is a freelancer website where dozens of ukulele teachers have set up gigs to offer the paid lessons online. The gigs on Fiverr are affordable, and they cover the basic areas you need to know to become a better player. After the preliminary lessons, you can purchase the gig again to get further instructions and guidance. 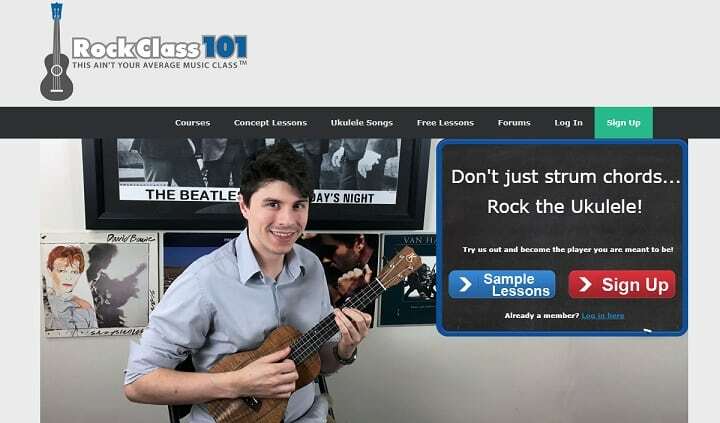 Some teachers on the website have divided their courses into lectures to make it easy for students who need to learn how the ukulele is played. The course outline is flexible; anyone can buy the gigs and learn how to play the ukulele via a laptop or smartphone. The course outline varies per teacher, so it is important to read the teachers description of the course outline before purchasing the gig. The private lessons are organized via Skype or Facetime. At the end of the online lessons, students will know the basic strumming methods to play along with their favorite songs and among other ukulele players. It is also easy to identify the best ukulele teachers on Fiverr. Before purchasing the gig, the online instructor’s feedback is open to the public who wish to read comments from past students. The online ukulele courses on this website have been prepared for beginners who wish to start from the basics. On the website, there are hundreds of learning materials such as videos and audio files to guide the students. The first lessons include learning about the ukulele, reading tablature, understanding the notes on the fretboard, and learning about the chords. After gaining this knowledge, students can progress to more advanced lessons such as strumming and playing real songs. The course outline is designed first to help the students understand how the musical instrument is played to increase their confidence. 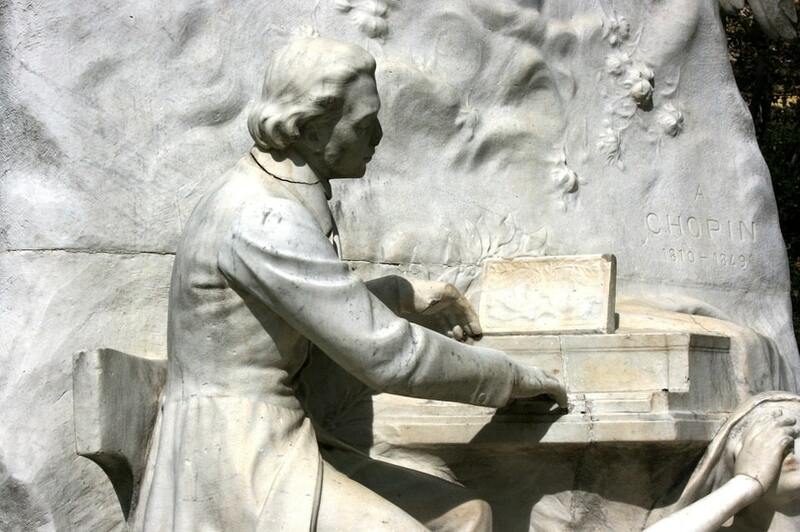 Once this is achieved, they are encouraged to practice playing along with real songs. The course outlines on this website include music theory related to playing the ukulele, practice lessons, and advanced jamming techniques. Students are taught how to play the instrument to Hawaiian tunes, and other genres such as reggae and blues. The course outline has been prepared by Daniel Ho who is a Grammy award winner and experienced teacher online. This website offers free online ukulele lessons which include fourteen instructional videos to teach students the fundamentals. After viewing and studying the free lessons, students can proceed to make payments for advanced ukulele online courses. The website is well arranged and very easy to use. All that is required to receive the free lesson is entering an active email address where the free lessons will be sent. The basic instructions cover areas such as learning about the parts of a ukulele, how to tune the musical instrument, understanding the chords and how to start strumming songs. There are hundreds of tips and tricks on this site to help beginners learn faster. After learning about the scales and tabs, students can proceed to play songs. The website offers video and audio guides to teach students how to play some popular songs for practice. The learning structure is very simple to encourage all students. The explanations for the tips and tricks have been presented in a simple way to help everyone easily comprehend the idea and how it is done. The founder of this website Brett McQueen is also an author whose books about learning how to play the ukulele are available on the website as additional learning resources to guide the students. The Uke school is an online learning platform for beginners who desire to learn how to play the ukulele. The program is free, easy, and it covers the important areas all students must know to become better players. The website is responsive and easy to use. The basic online lessons cover areas such as how to tune the ukulele, fingerpicking tips, learning the first chords and strumming songs. Beginners are also given postural guidance to help them hold and play the musical instrument properly. On this website, students are offered interactive tools such as instructional videos, PDF files and audio files which aid practice. The Uke school learning program also accommodates intermediate students who would like to refresh their knowledge by practicing how to read music. The learning approach offered by the instructors on this site is a combination of music theory and practical learning. Students have access to the chord charts, tuning charts and learning resources for the tabs. The courses have been divided into many lectures to help students receive the information in a gradual process to improve assimilation. The lessons on this website are simple and well prepared to help people who want to be self-taught achieve their dreams to become better ukulele players. This website offers a vast amount of learning resources for everyone who desires to improve their ukulele playing skills. On the website, visitors are offered special course outlines specially prepared for beginners who wish to start from the basics. Students are allowed to record their practice sessions and upload the videos for critique and corrections. These videos are posted for everyone to view and learn. The course outline covers basic aspects such as learning about the chords, how to hold the ukulele and strumming tips. There are many videos of simple songs beginners can start practicing after they learn the fundamentals. The website is run by Mike Shapiro who is a renowned musician and expert ukulele player. He offers membership options to people who would like to have access to premium content that can improve their lessons. Shapiro has been teaching students how to play the ukulele online for over ten years. The private lessons are done via video streaming at the convenience of the member. All members are given a free two-week trial to get a first-hand experience of the online lessons before proceeding. The learning structure is standard, and the instructor is always available to support students when necessary. The online ukulele lessons on this website have been divided into three lessons to ensure all parts of the fundamental and advanced course is covered. The website also features high-resolution videos uploaded by the teacher who shows the participants how to play the ukulele. The lessons begin with coaching the participants how to hold the ukulele. There are also important tips to guide the audience on how to tune their ukuleles to ensure the sound is of high quality. Other areas covered in the online lessons include strumming, learning the chords and increasing the playing speed to match the songs. After learning the basics, the participants can proceed to the advanced lessons. 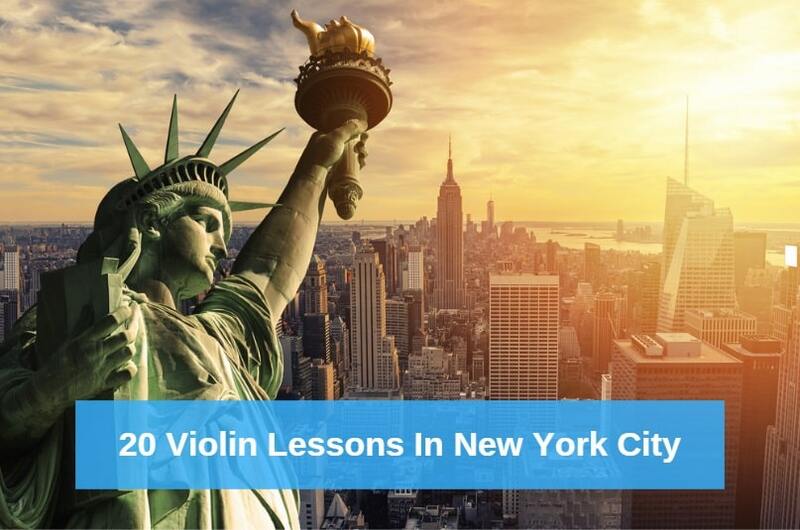 Here they can learn how to play one chord songs and practice with songs in other genres. There are dozens of free learning materials on this website. The instructors have provided videos, audio files and free chord sheets that can be used for practice anytime. The objective of this online course is to help everyone who wishes to improve their strumming skills learn through a simple step by step process that is encouraging and covers the essential areas they need to learn. On this website, students have access to 108 free online ukulele lessons. The online lessons are designed for all levels of learners. Beginners who have never played the ukulele before will find simple lessons to teach them the basics and important knowledge needed to proceed to the advanced lessons. The course outline also accommodates intermediate and professional ukulele players. The users of this site are free to practice with the online learning materials as many times as necessary to improve their strumming techniques. Some important areas covered include reading the tablature, learning the fretboard notes, studying the chords and string names, strumming and learning fingerpicking methods. The courses are arranged in no particular order so users may need some guidance to know where to start their lessons. 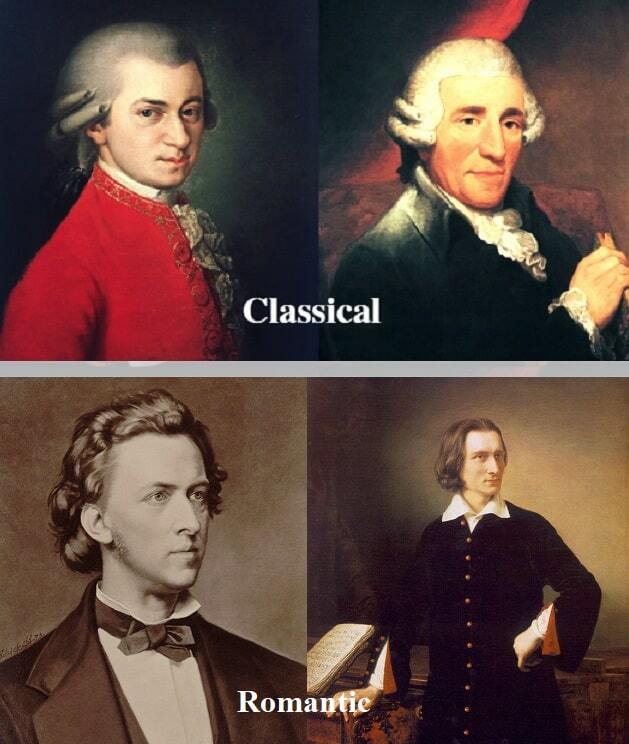 However, all the offered lessons start from the beginners’ level regardless of the lesson. The website also gives users access to a growing online community where hundreds of ukulele players can communicate and share ideas. The advanced lessons include guidelines that teach the users how to strum some popular songs which help to improve daily practice. On this site, students can pay for live ukulele lessons which cover the essential areas needed to become professional players after the course. The website offers hundreds of free materials and blogs which offer useful information about playing the musical instrument. Students start learning after booking a free lesson on the site. The participants are required to own or have access to a ukulele for practice. The lessons cover essential areas such as learning the chords, understanding the tabs, reading music, learning string names and strumming songs. The website is owned by Brad Bordessa; he is a musician who has been teaching students how to play the ukulele online for about ten years. His live sessions are available to students from all over the world. The ukulele lessons on this site are prepared and presented in the English language. Bordessa seeks to create a free online platform where everyone who wishes to learn how the ukulele is played can achieve their dreams. The online visitors can subscribe to the email list on the site. The subscribers are sent hundreds of free materials which include learning resources and links to blogs about playing the ukulele. This website offers simple tips and hints that can help you strum your first song in a week. The online ukulele lessons on this website are created as fun exercises to help you understand and perfect your skills. Every week short videos with varying lengths from seven minutes or less are uploaded to guide students during their daily practice. The online ukulele course is for everyone regardless of age or experience with the musical instrument. There are over a dozen instructors who are ready to show you the best strumming tricks and how to switch chords while playing the ukulele. The common music genres covered in these lessons include pop, soul, rock, folk and Hawaiian music among other genres. After learning the basics, students are encouraged to proceed with the jamming lessons as a group or individually. After subscribing, you will also have access to selective free materials such as digital books that include useful content for all students. The site is responsive; the instructional videos can be viewed on laptops or mobile devices. Students can learn how to play the ukulele at their convenience. Comprehensive packages are also available for sale in DVD formats which are shipped to buyers after purchase. 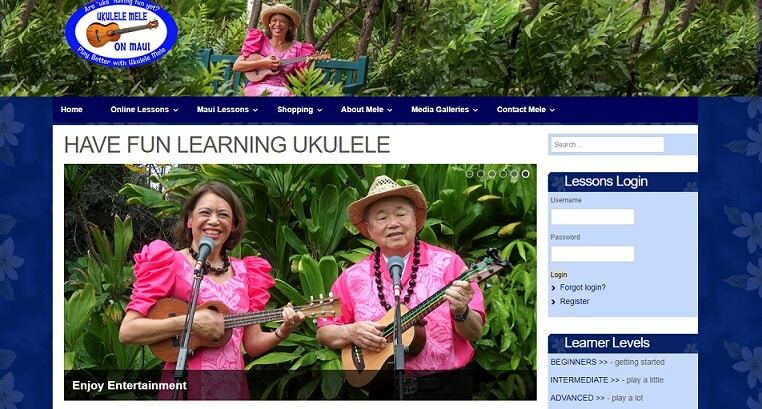 On this website, the teachers have prepared eight free ukulele lessons as a welcome gift to all students. These introductory online instructional videos show the visitors the scope of the lessons and the first courses they need to learn. The free online lessons cover areas such as fingerpicking techniques, strumming simple songs, learning one chord songs, and mastering the major keys. 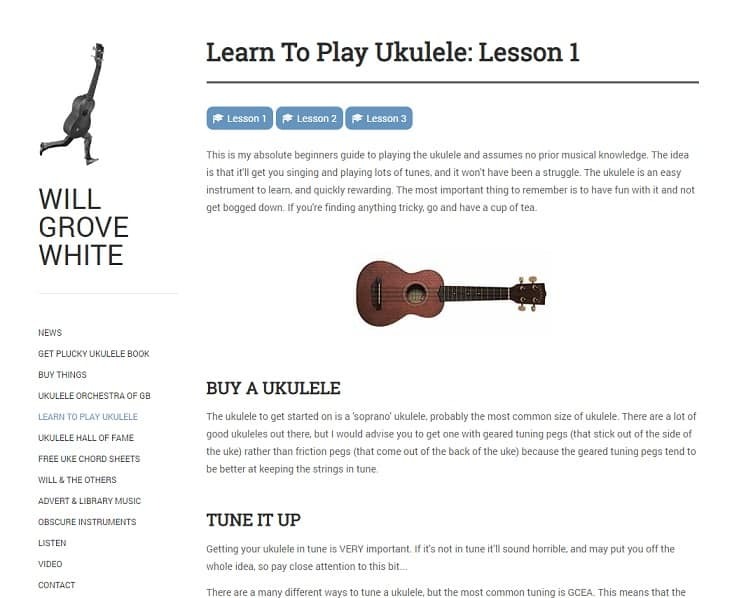 The website also contains a vast number of learning materials that will be useful to experienced players who wish to improve their ukulele playing techniques in particular areas. The website offers public and private ukulele lessons to meet the needs of all students. The lessons are presented as high-resolution instructional videos. The private lessons can also be scheduled in real-time at the students’ convenience. Lessons can also be purchased as single courses so students can choose what they wish to learn. The instructors encourage a learning structure based on frequent practice to ensure that all students find a few minutes every day to play their ukuleles. The ukulele beginner course on this website starts from the basics. The instructor uploaded seven introductory online videos to guide the students who need to learn the fundamentals regarding playing the ukulele. 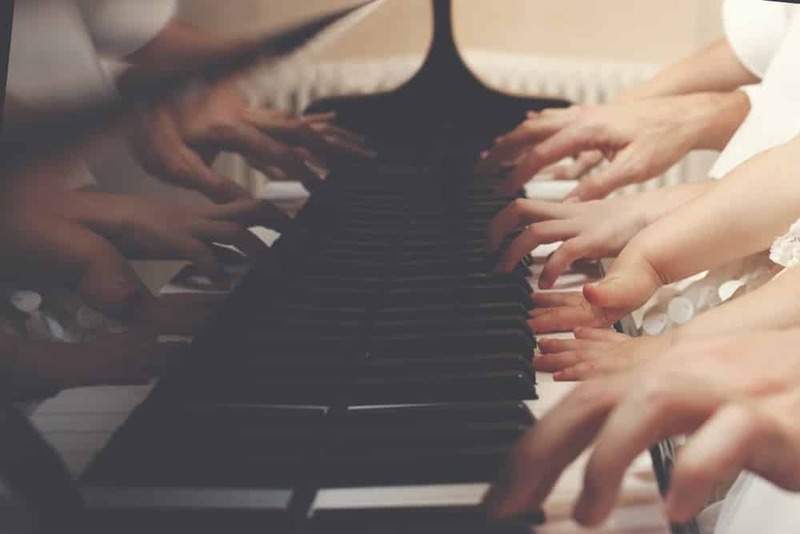 The course outline covers area such as learning the four chords, practicing open chords, strumming, understanding the fretboard notes, and shifting chords with the musical instrument. The online videos last for about ten minutes or less. They are clear and audible to ensure students understand the instructions. These online lessons are free; the website is of high quality and receives thousands of visitors every month. After learning the basic lessons, students can proceed to the intermediate and advanced ukulele courses on the website. Their courses cover important areas such as strumming songs and creating a repertoire to improve ukulele techniques. 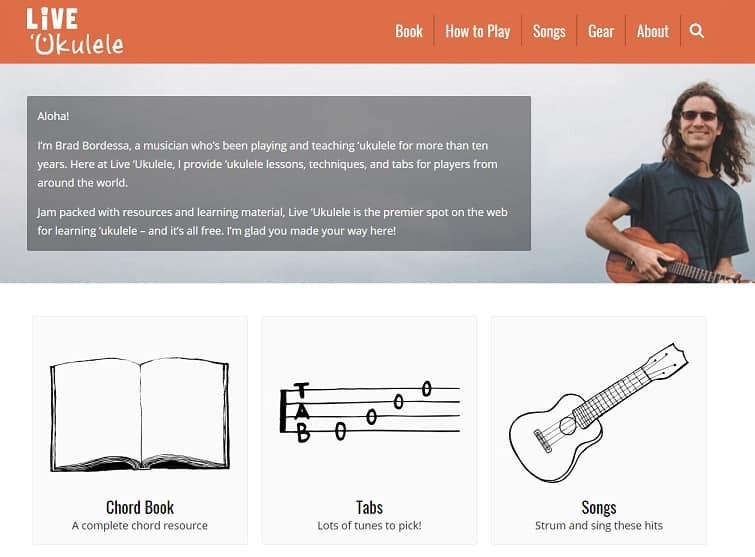 The website also offers a playground where people who like to play the ukulele can communicate and share more knowledge. There are hundreds of free learning resources which include PDF files and audio files that can be used by all students to get ahead in the lessons. These tools make it easier to achieve goals while practicing with the ukulele in private or online. 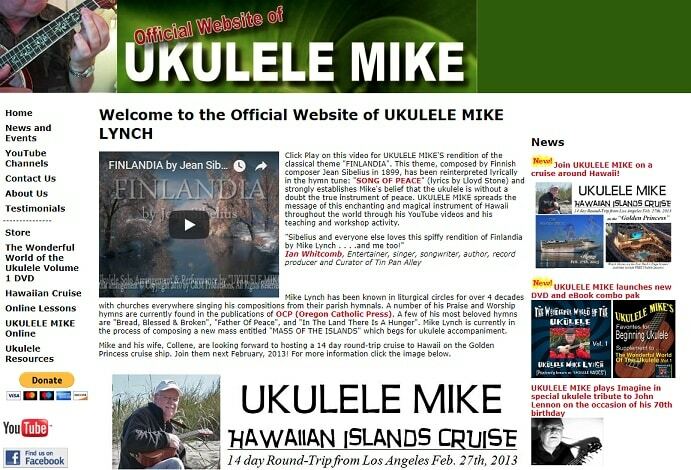 Mike Lynch is a renowned ukulele player; his website is designed to offer lovers of the ukulele a chance to learn how the musical instrument is played online. The website features a YouTube channel where the instructor regularly uploads instructional videos and clips of his practice sessions for everyone to study. 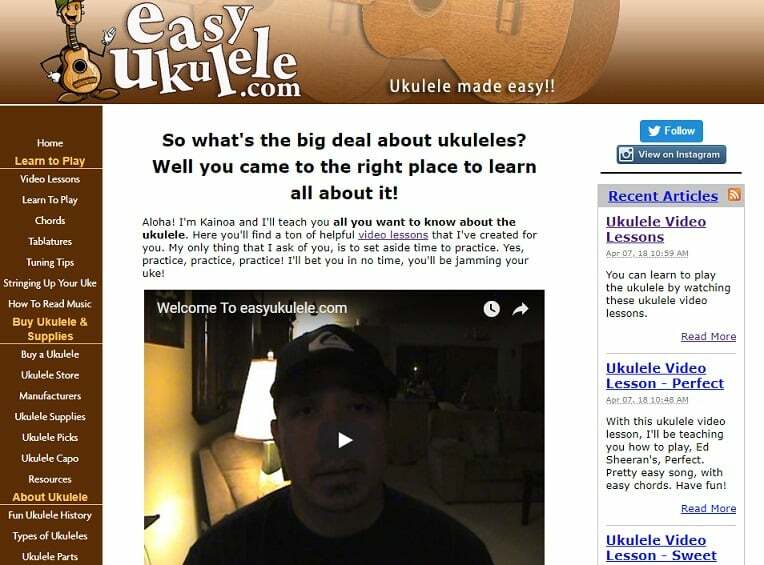 The main focus of this website is how to play nice gospel and Hawaiian music with the ukulele. The website has an online store where visitors can find so many learning materials to buy. These materials are suitable for new and more experienced ukulele players. The online lessons are also designed to help people who have never played the instrument before learning the basics and start strumming songs in a few weeks. Mike Lynch offers his main product the compilation of ukulele songs and performances called “The wonderful world of the Ukulele” volume one. This package covers the basics of playing the musical instrument. 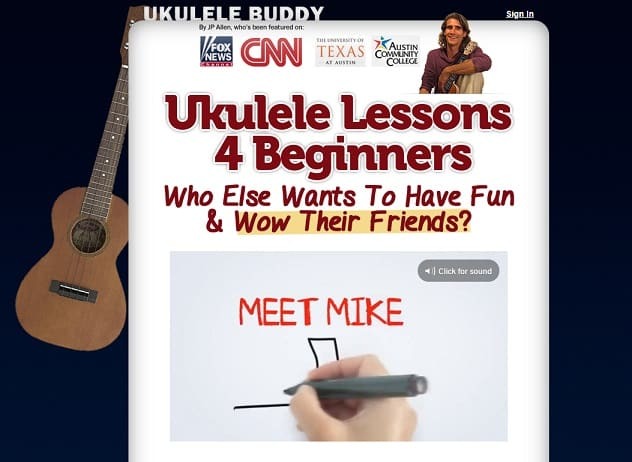 Another favorite on the website it the “Favourites for beginning ukulele” which is another product prepared by Mike Lynch for all users online. There are other learning resources which have been endorsed by Mike on the site. Somewhere used by him during the early days of his career as a musician while others he has produced to help everyone who desires to learn how to play the ukulele. This website is loaded with hundreds of ukulele learning materials for beginners and intermediate players. On the site, students can take advantage of the free online instructional videos. These videos introduce beginners to the ukulele and its features. There are also videos that cover areas such as how to hold and play the musical instrument, learning about the chords, reading ukulele tablature, and tips for turning and tuning the ukulele. 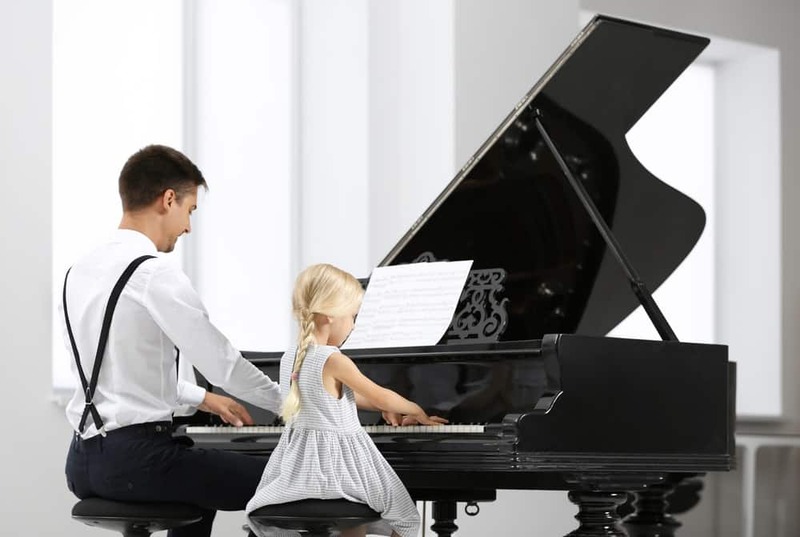 The online lessons on this site are structured to encourage the students to develop a habit of regular practice while improving their playing skills. 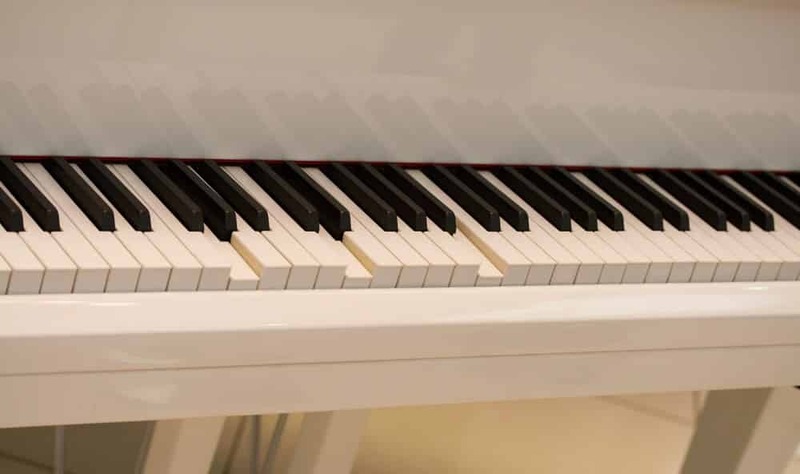 For the intermediary and expert players, the instructors on this site have uploaded particular practice videos of popular songs that they can play along. The instructors also provide a means through which they can be communicated with via the site. Inquiries can be made by sending direct messages to the instructors who reply in less than 24-hours. The site also has a blog. Here there are dozens of blog posts that inform and guide the students while they get ahead in their lessons. The website has good features, and it is always available online. This website offers membership plans to students who wish to learn how to play the ukulele. The plans include the monthly membership plan for people who are interested in learning particular ukulele techniques. The beginner packages include the monthly plan. The courses are designed as a ukulele boot camp where students are coached and given opportunities to practice their skills. Further lessons have been developed to help students master the techniques to play the ukulele. This course is divided into two parts. 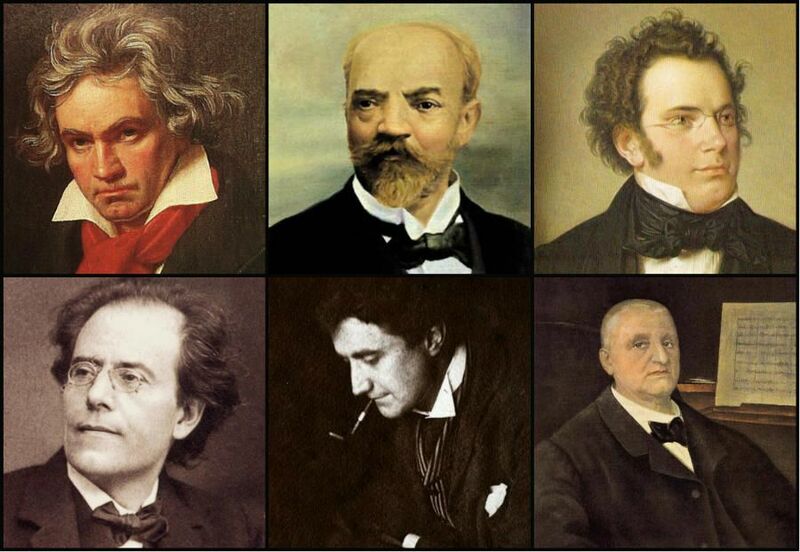 Extra knowledge is available in the module for people who need to learn how to read music. In addition, students who want to improve their ukulele techniques with the chords can enroll for the special 23 chord progression module on the website. The website is owned by Terry who has had a twenty-five year run as an expert player and teacher. His coaching methods are friendly and easy to follow. Terry adopts a one on one coaching approach to ensure that his students understand all the aspects of the course before proceeding to the next level. Terry is also a songwriter and producer who are willing to pass on his knowledge to others. The website also features a blog where students can find useful information to improve their ukulele strumming abilities. It is easy to navigate this website especially if you have specific interests. The instructors have created a series of lessons online to guide students who need to improve their sounds and tunes. The ukulele is introduced as a wonderful musical instrument that is fun to play. Visitors are encouraged to feel overcome their fears and get prepared for a great experience. The lessons are uploaded as video files which cover the essential learning areas. Students are taught how to hold the ukulele, read the notes, scales, and the tablature. They are also guided to practice the best fingerpicking techniques and eventually learning how to strum songs. The membership plans are flexible. They are created to meet the particular needs of the students. Also, the website is a source of information such as ukulele festivals and other events where students can go to network or show their skills. 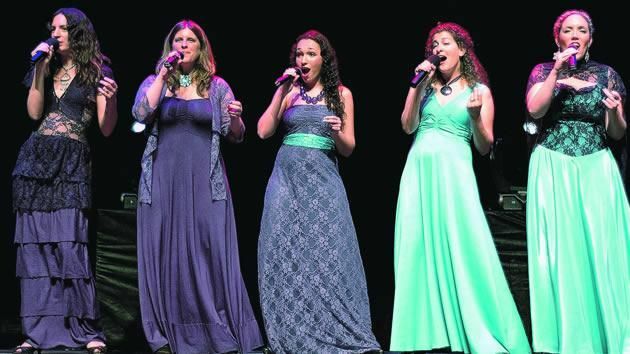 To aid practice, the instructors have uploaded dozens of songs that serve as play along songs. The website is regularly updated with useful content to help and encourage every student who uses the site. This website introduces the ukulele as the most interesting musical instrument ever. Visitors are welcome with short notes and video clips that show how wonderful it feels to play the ukulele. Many past users commend the friendly and easy approach used by the teachers to encourage them during the courses. The website is regularly updated with new lessons uploaded every Friday as video files. The rock class package contains 250 lessons which have been divided into smaller lessons to make the experience even more fun. Students start from all levels (beginner, intermediary, expert), the advanced membership training challenges the students to play along with their favorite songs using the knowledge they have gained from the previous lessons. 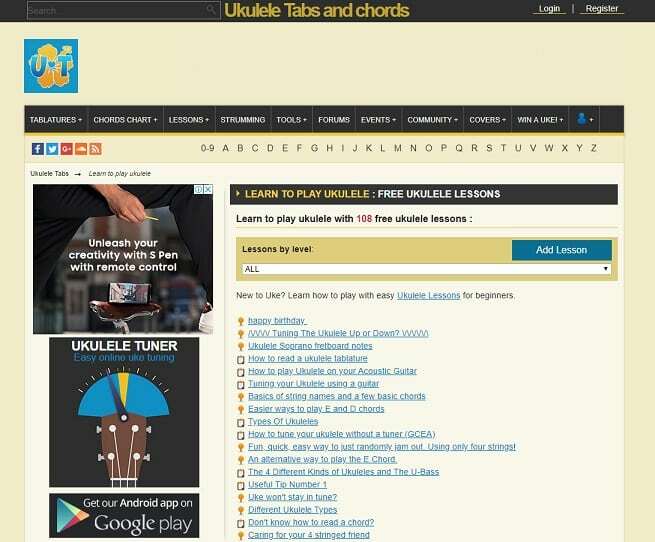 The website also offers free lessons, concept lessons, and a variety of ukulele songs to help the members improve their skills. It is one big community where everyone is encouraged to participate and learn from others on the website actively. The instructional videos uploaded on the site are clear and have a good audio quality to help the members study the performances of the instructors. Private lessons can also be scheduled for members who need more flexibility and convenience. It’s all about having fun with the ukulele on this website. The owners upload many videos on the site regularly. 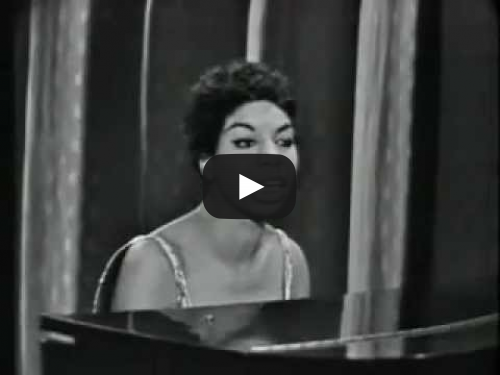 These videos feature practice sessions, instructional guides, and group jamming sessions. The main idea behind this website is to show people how much fun they can have while playing the ukulele. In addition, visitors who need private lessons can make bookings to schedule these lessons at their convenient time. The learning approach used by the instructors is simple. After teaching the basics about playing the ukulele, the learners can now watch the video performance, listen to how the chords are selected and the fingerpicking methods and then practice the skills. The website is loaded with so much learning activities. On a regular basis, the instructors organize online workshops, packaged sets, online lessons to keep the visitors and participants engaged on the site. There are also video, audio, and photo galleries where visitors can listen to the ukulele playing, and view pictures of the jamming session as well as other activities. After the free sample lessons, students can enroll for the beginner, intermediate, or the advanced online lessons. The teachers have found ways to ensure that everyone has fun while learning how to play the ukulele. 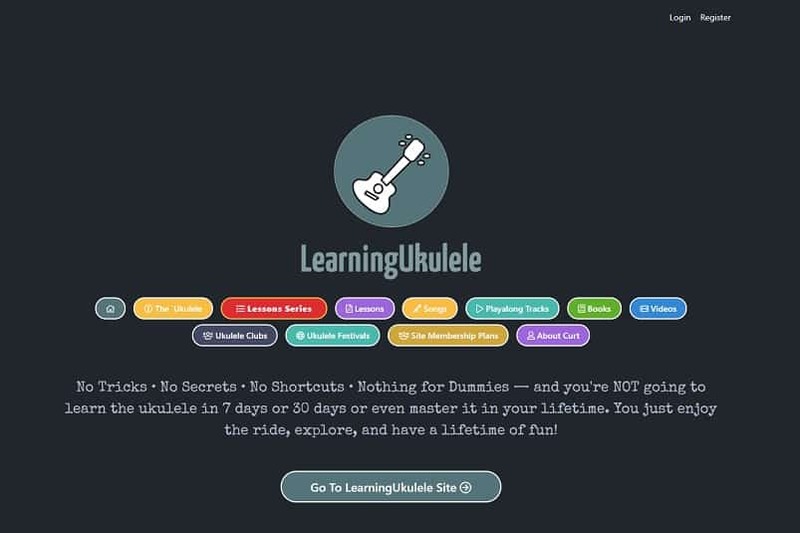 On this website, there are over twenty ukulele teachers ready to get started. It is easy to use this website because the teachers have specified the courses they offer and specific details to help the students decide if the teacher will be a good match. The courses usually last for about thirty minutes per lesson. On the site, particular ukulele teachers who have had excellent experiences with other students are suggested as the most students favorite. These teachers have created their lessons to be friendly which makes it easier to learn how the musical instrument is played. 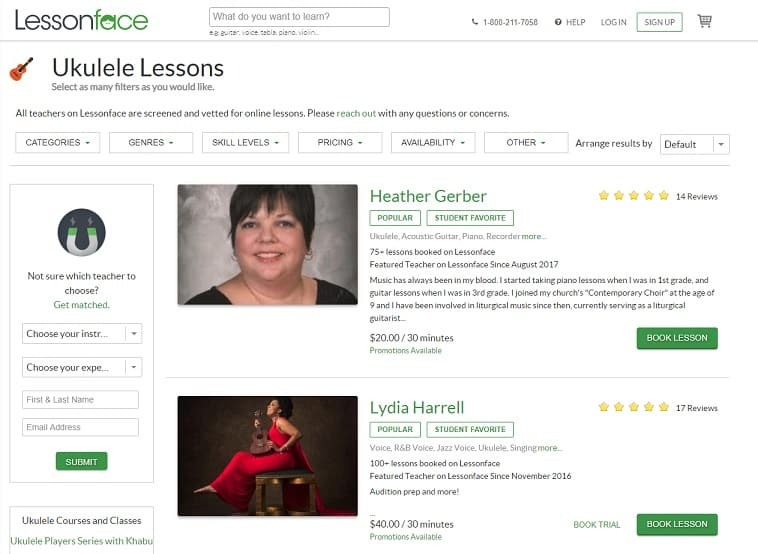 The teachers’ profiles indicate how long they have been offering their services on the website and the number of lessons they have offered. Students are also guided by information such as when the teachers will be available online to help them plan. Some teachers specify their interests in teaching people who already have an idea how to play the ukulele. Others offer their services to students at all levels including the beginners. You can also find teachers on this site who offer trial lessons to visitors on the site. These lessons are introductory, and they show the value of the lessons after the complete course is purchased. This website is a good option for people who wish to learn how to play the ukulele on a budget. The prices of the online lessons are affordable, and the students can plan with instructors to schedule convenient online lessons. The ukulele lessons last for about thirty minutes per session. The teachers have divided their courses into smaller lessons to guide the students and encourage them to have a daily practice session. These practice sessions help students become better by learning the best fingerpicking methods, strumming tips, reading notes and how to change chords. There are so many teachers who are ready to start coaching students on this site. Selecting the best teacher can be done by viewing their profiles and the previous feedback provided by past students. Some teachers also offer their services at cheaper rates, so it is a good idea to interact with the teacher before making payment. It is a good website, the reviews are mainly positive, and the website is secure and stable. The expert teachers on the site can also help students preparing for auditions or exams through the online lessons. Preply is one of the online academies that offers bilingual ukulele teachers to help everyone achieve their dreams of playing the ukulele fluently. On the website, the teachers indicate the lessons they offer and their spoken languages. This means the French can find a teacher who can instruct them using the French language. You can find teachers on this site who have designed their online ukulele lessons for young and older adults. There are also lessons for children as young as seven years. The lessons cover the basics such as postural guidance, learning the chords, and strumming tips and hints. The teachers on Preply charge per hour but they also offer trial lessons. These lessons are offered as introductory lessons to give the students an experience of what the entire course will involve. It is also possible to interact directly with teachers on the platform by sending messages directly to them online. The top languages used to deliver lessons on this website include English, Chinese, German, Spanish, Russian and French. 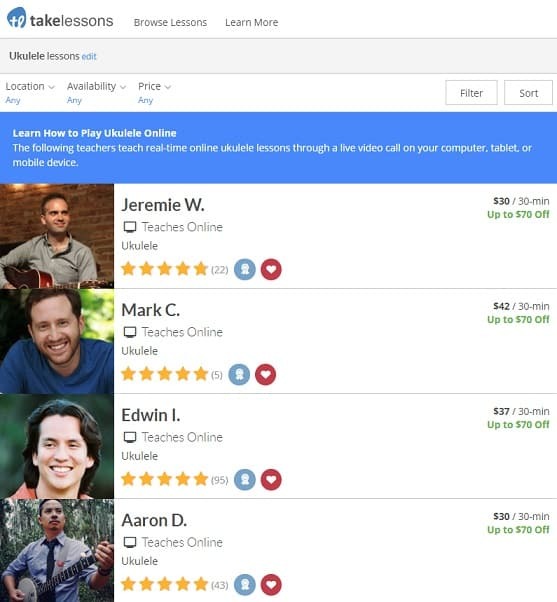 The best ukulele lessons online are created by expert teachers who have considered that their students may have never played the instrument before. These lessons specify that beginners can participate in the program. However, there are intermediate learners and other experts who may only need coaching assistance in specific areas to improve their ukulele techniques. For this group of students, the online courses that offer programs at different levels will be most suitable. They can pay only for the needed lessons instead of paying more for the entire package. In some cases, the online teachers start a community where ukulele enthusiasts can meet and share knowledge freely. It is also important to note that some of the courses are non-refundable. This is why the online ukulele lessons often offer convenient time schedules to ensure that the teacher and student can meet every day to practice. The private and group lessons are available based on preferences. Some teachers encourage students to participate in the online group sessions after which they can record their practice sessions and upload the videos for others to watch and learn. The private lessons make it easier to learn the ukulele at your own pace. Before making payment for a lesson online, it is a good idea to find out if the teacher offers free trial sessions. These sessions will show you if the teacher's plans for the program is in line with your goals. In many cases, the free lessons are presented as video files pre-made and uploaded on the website. They, however, cover the basic areas that will be taught during the complete lesson. Some website also offers memberships. The membership privilege gives you access to all the learning materials and other resources on the site. You have this access as long as your membership is active. Every member has the opportunity to renew their membership every month or leave it to expire if they have had enough training. Playing the ukulele is so much fun. Many paid online lessons offer unlimited access to play along songs that can be used to practice after the program ends. 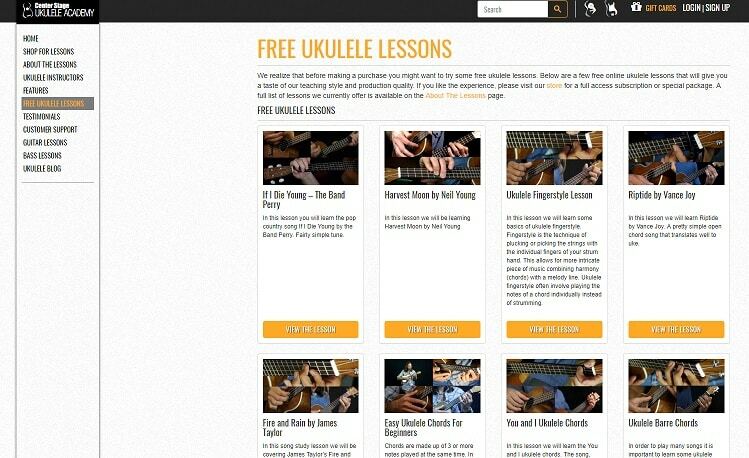 However, these free materials are also offered on some sites run by ukulele enthusiasts. These free materials are valuable but made published or uploaded for free to help people who desire to learn how the ukulele is played achieve their dreams. The online courses are created for everyone. On many sites, you can find indications that specify if particular courses have been structured for young children, beginners, intermediate learners, or advanced classes. It is also common to find many Grammy award-winning ukulele musicians who offer master classes for experts who wish to improve their skills. In conclusion, it is best to choose courses that offer a friendly, easy and interactive approach while learning how to play the ukulele. 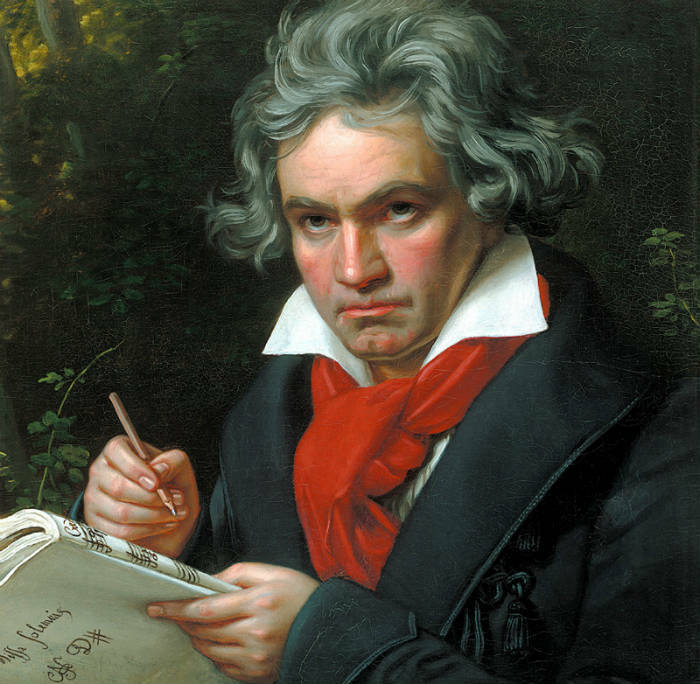 Why is a 199-year-old Beethoven score causing so much controversy?